The school receives Pupil Premium funding, which is additional to the main school budget. The Pupil Premium funding is allocated to pupils who are either currently eligible for free school meals or who have been eligible in the last 6 years, known as ‘Ever 6’. Pupil Premium for Looked-after children (LAC) as defined in the Children Act 1989 as one who is in the care of, or provided with accommodation by, an English Local Authority. Pupil Premium funding is intended to address the historic underachievement of children from poorer backgrounds in this country. By giving schools additional money when they have families from poorer backgrounds, the Government is seeking to ‘diminish the difference’ in achievement, meaning that any student from any background should be able to achieve at a high level. The money is intended to support schools to ensure this happens for students in their care. Pupil Premium funding at Limes Farm Infant School and Nursery is spent on a range of support and additional intervention which ensures that every child succeeds. You can read in more detail about our spending and the review of our impact and see the planned expenditure in the documents below. How is the impact monitored? Assessment procedures at Limes Farm Infant School and Nursery are robust and we are relentless in monitoring and evaluating the progress of all children. This is done in our pupil progress meetings each half term, where we identify any child who is not on track or has not made adequate progress, and then put in place targeted support for them. Children eligible for Pupil Premium funding are identified through this process and support mapped on to the range of resources the school has to offer. What are the main barriers to educational achievement faced by eligible pupils of the school? Teacher 2 days per week for 1 to 1 tuition and small group work in Year 1 and Year 2. Teacher 1 day per week for 1 to 1 tuition and small group work in Year 2. Teacher 0.5 days per week for 1 to 1 tuition and small group work in Year 1. Learning Support Assistant part time for small group and 1 to 1 support in Year 1 each morning. Contribution to the Local Delivery Group to ensure access to services such as Family Counselling if required. Teacher 2 days per week for 1 to 1 tuition and small group work in Year 2. Extra LSA hours to plan interventions and assess impact. There were 10 children in this cohort of 52 children who received the grant which is 19%. All had dedicated intervention sessions twice weekly with the part time teacher focussing on literacy and maths. The groupings of these children ran across the two Year 2 classes and the children were given intervention according to their needs. In this cohort of Pupil Premium children a vast majority had learning or attendance issues. In the Key Stage 1 SATs at the end of the year these children made significant progress in Reading and Maths in that throughout the year the number of children working at expected level doubled. In Writing, the children went from no pupil premium child working at the expected level to 20% working at the expected level. For those pupil premium children without learning or attendance issues their progress and attainment was greater than that of non-pupil premium children in all core areas. This cohort of 55 children had 17 pupil premium children which is 31%. They had a dedicated Learning Support Assistant with whom they worked in small groups or individually every morning according to their need. Again the focus was literacy and maths. The phonics pass rate was 78%. 71% of pupil premium children passed the phonics test which compares favourably with a pass rate of 66% Pupil Premium children nationally in 2015. The pupil premium children did not make as much progress in Reading, Writing and Maths. However, for those with no learning issues attainment was better in all these core areas than that of non-pupil premium children. 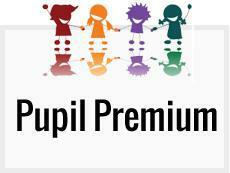 In the Reception classes there were 17 children eligible for Pupil Premium funding (33%). Our focus was on Speech and Language in this Key Stage. An independent consultant screened the children and then worked with the LSAs to support the needs of the children. Therefore in Communication and Language an average 74% of pupil premium children achieved the required level. However, only35% of pupil premium children obtained a Good Level of Development mainly due to not obtaining the required level in Writing. There were 15 children in this cohort of 42 children who received the grant which is 35%. All had dedicated intervention sessions twice weekly with the part time teacher focussing on literacy and maths. The groupings of these children ran across the two Year 2 classes and covered level 1 ( below average) through to level 3 ( above average). In the Key Stage 1 SATs at the end of the year their attainment was better in writing against non pupil premium children, nearly the same in maths but less in reading. However their scores were above average for pupil premium children nationally in reading writing and maths especially for the number of children at level 3. All pupil premium children obtained level 2 for all three core subjects. This cohort of 53 children had 11 pupil premium children which is 21%. They had a dedicated Learning Support Assistant with whom they worked in small groups or individually every morning according to their need. Again the focus was literacy and numeracy. The phonics pass rate was 63% . Three pupil premium children left in the summer term so only 8 took the test. Of these 3 passed (37%). The remaining 5 who did not pass are all identified as having additional needs with resultant ‘One Plans’ to target their learning. Their progress throughout the year was not as good as their peers overall although those without additional needs made better progress than their peers in reading and around the same progress in maths. In the Reception classes there were 13 children eligible for Pupil Premium funding (24%) . This group of children made better than expected progress this year in all areas of learning but especially in Communication and Language.